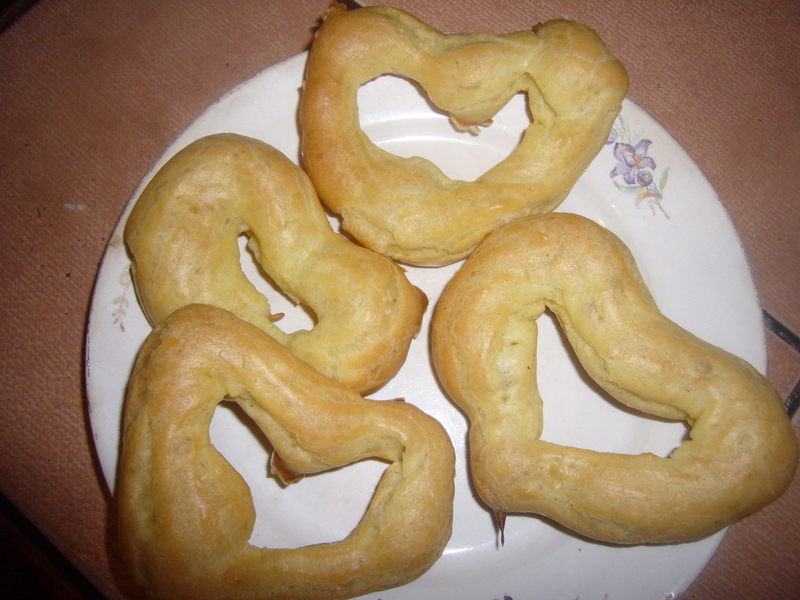 These choux pastry hearts was my first at them. But, it is a quick and delicious pastry recipe. Set water to boil in a large pot. Add butter, sugar and salt. When the water starts boiling, you set it off the stove and add all the flour. Then quickly start mixing up the dough. It has to become smooth and roll into sort of a ball. You let it cool off for few minutes, then start adding eggs one by one. You have to mix the eggs in fast, so they would not get cooked in the hot dough. You dough is ready. You may either make hearts or just make round eclairs from it. You may fill them with cream or top with hot chocolate. I used the hot chocolate recipe from my blog here for this quick pastry recipe. I’ve made these hearts with my kids. 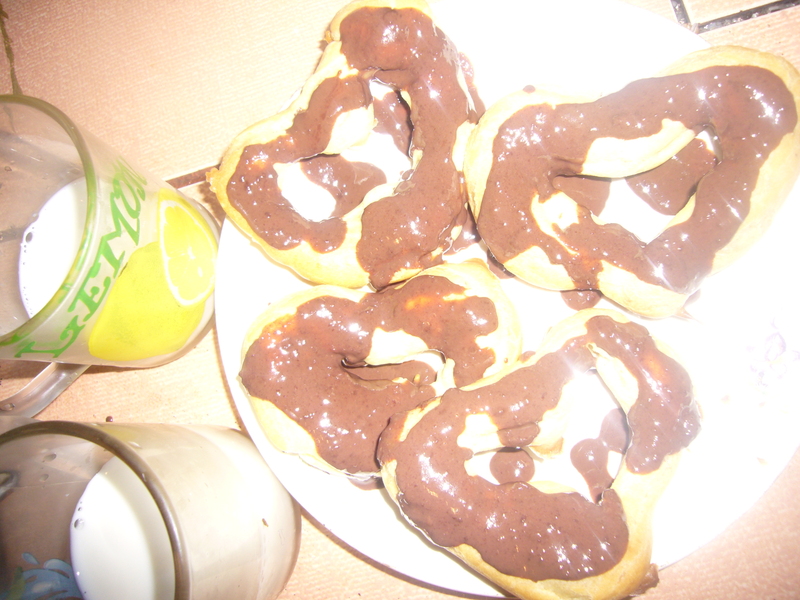 They loved to squeeze the pastry out and form different eclairs. So, it’s a good idea for entertaining kids, too. This entry was posted in Easy Recipes and tagged chocolate, choux pastry, cookies, cooking, cooking tips, cream puffs, easy cooking, easy recipe, eclairs, eggs, food, hearts, mom help, pastry, pastry recipes, quick pastry recipes, quick snack for kids, recipe. Bookmark the permalink.